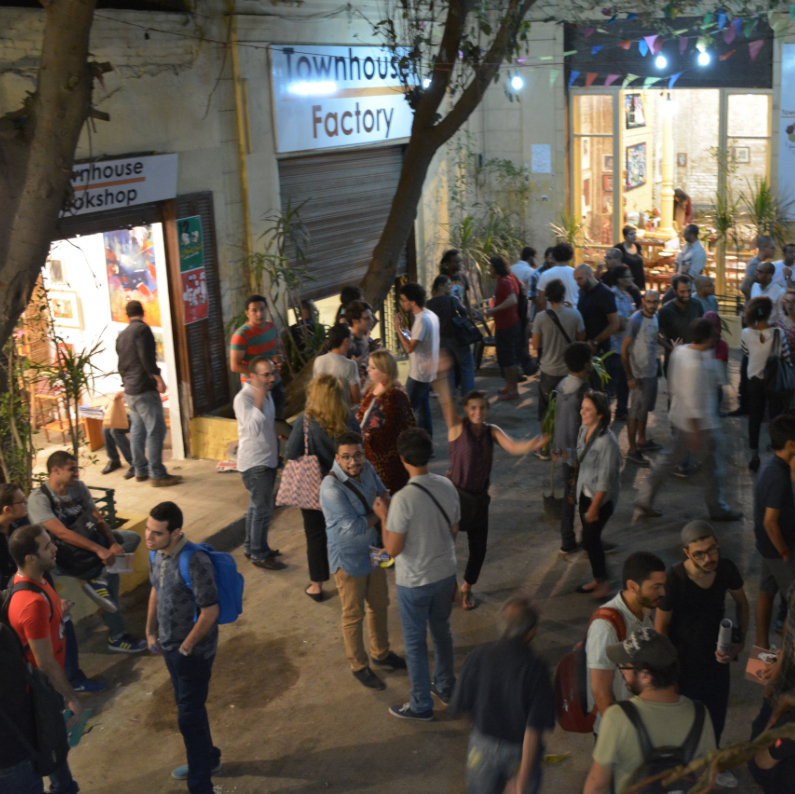 Townhouse Gallery, Foundation for visual art, design and architecture (Fonds BKVB) and Deneuve Cultural Projects organised an international symposium in Cairo, inspired by the increased interest in exchange programs for artist between Europe and Mediterranean countries, the Middle East and Africa, and the development of various new initiatives in the region. In the symposium the most important goals, opportunities and risks with regard to artist mobility were the topics for debate: how to deal with different expectations; what is the role of the organisation that hosts the artist, shows his work and supports him/her; methods of evaluation and the post-residency period. Aim of the symposium was to lead a profound discussion about the meaning and possiblities for cultural exchange. Attention was given to underlying motives of artistic, societal, political, cultural and personal nature. The symposium also served as a network opportunity for representatives of residencies in the Middle East, Africa and Europe. The three day symposium offereed a program with introductions and lectures by international speakers and a series of moderated debates between professional residency managers, artists and organizations that make residencies financially possible. The symposium was organized in collaboration with Pro Helvetia, Goethe-Institut, European Cultural Foundation, Prince Claus Fund, Embassies of The Netherlands and Spain in Cairo.